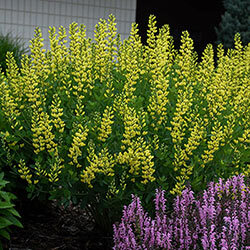 Introducing a vivacious and charming baptisia that adds color to the landscape while it helps to maintain the soil's nitrogen levels at the same time. 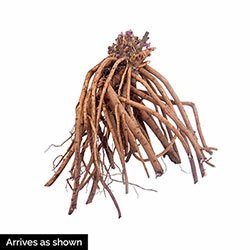 Plant in full sun to part shade areas in virtually any type of soil. 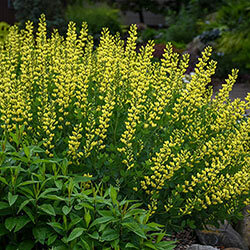 The easy-to-grow perennial bestows lemon-yellow, pea-size blooms that grow along upright, wiry stems that sway in the breeze. 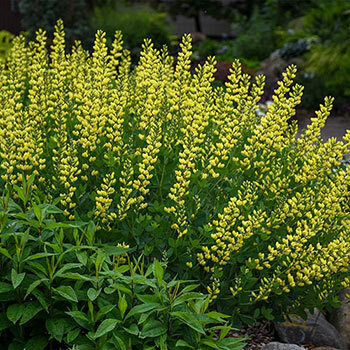 Flower spikes reach heights of 36-42", making them a wonderful addition to borders, cutting gardens and in large groups along slopes and beside wooded walkways. Butterflies adore the many blooms it bears, but deer won't bother with them. Can be enjoyed indoors or out, as fresh cuts. Seed pods work well in dried arrangements. PPAF.